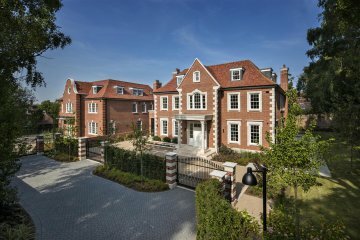 The high demand for luxury new home developments in North and North West London has resulted in an increasing number of new apartments and houses becoming available throughout the area. As one of the New Homes specialists in North London, the Glentree New Homes Team prides themselves in providing an exceptional personal service for buyers, being able to offer new build properties in the following areas; Hampstead, Highgate, Golders Hill Park, The Bishops Avenue, Mill Hill, Temple Fortune, Golders Green, Mill Hill and coming up in areas such as Brondesbury Park and Hendon. Our New Homes Team has earned an unrivalled position of trust with a wide range of developers both large and small, looking to purchase individual properties or sites for potential developments. We provide a complete service from identifying sites, advising on planning consent, design layout, specification and marketing, making sure that these schemes are carefully groomed for the right market. Being familiar with the market, location, demands, requirements and sales values allows us to provide complete guidance from the offset including full appraisals, viability reports and projections. Our experienced team are able to liaise with architects, including recommending the required specification and layouts. We work with a number of well knowninterior designers who can be recommended to clients if required to ensure that show homes are elegant and appropriate for their market. By working closely with developers, we are able to play a significant role in helping to ensure that the full potential of a development serves and fulfils the needs of the community. In some cases we are able to sell 'off plan' before the development has been completed. This, of course, can be a daunting experience but the Glentree New Homes Team ensure with their understanding, expertise and guidance, that buyers have the opportunity of personalising their new home in its early stages. Fully experienced and trained new homes staff. 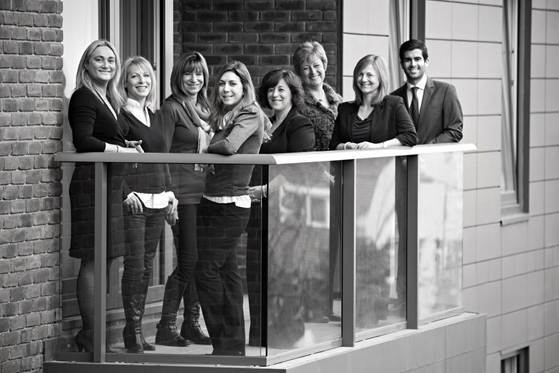 Our dedicated sales team are aware that moving home can be an emotional and stressful ordeal, we therefore provide a personal and professional service with both local and overseas buyer's offering them guidance and reassurance throughout their purchase. We are available to answer any questions and are familiar with buyer's needs and requirements. We have a database of purchasers for new homes with over 2000 potential buyers, which is steadily growing as demand increases. In addition, through our successful and established Sales Department, our clients tend to remain with Glentree for decades and this relationship continues with New Homes. The Glentree New Homes Team offers support in organising the launch of all developments whether large or small. This includes all promotional material, schedules for advertising (local and national at competitive, preferential rates through our media buyers), invitations, flyers, websites, brochures, in-house PR and knowledgeable staff available on open days, evenings and weekends. The Glentree New Homes Team provide a comprehensive service and are able to advise on all aspects of establishing a show home. This ensures the designs are appropriate with the demands in the market. Our show flat sales representatives are all experienced offering their services 7 days a week to ensure full coverage is met with any potential buyers. Glentree New Homes is fortunate to be consulted by leading developers to ensure that the needs of the community are met. We have built strong relationships with our developer clients which include; Octagon, Barratts, Berkeley Homes Plc., Harrison Varma, London & Regional, Willowacre, Dwyer Plc., Albany Homes International, Fitzroy, Heronslea and many other independent developers. At Octagon we are passionate about the standards of properties which we build and the way that we present them to the market place and we therefore feel a kindred spirit with Glentree and this harmonious and mutually productive arrangement is something that we have become very proud of. It is absolutely unique for Barratt's to rely so heavily on your advice in terms of layout and specification for the scheme. Your company have an overwhelming dominance in the area and this was immediately apparent as soon as marketing started. Thank you so much for all your help and guidance throughout a purchase at Caenwood Court. Having never bought a property in the UK before, your team made this matter stress free and helped us with everything. We felt comforted that the specification for the market place was appropriate in view of Glentree's expertise. We pride ourselves on our ethos of serving our local community and we ensure this service is provided throughout each and every transaction. Our aim is to ensure that the buyer is satisfied with their purchase from the moment they proceed to the time they move in. Are you selling a property?